Defining the legacy of an industry figure like Kim Thompson (1956-2013) has its share of difficulties. On the one hand, Thompson touched and worked on so much material, and a lot of it was primarily generated by or shared with other hands. His major legacy will be the one he shares with the company he co-owned: Fantagraphics Books, and the major success story that company has been in the history of comics and in the popular arts more generally. Thompson also had and will continue to have an influence on work that had nothing to do with him or his company directly. We would not have the remarkable recent books done by Joe Sacco if Thompson had not been on board at an earlier time in terms of seeing to the development of that great cartoonist's career. Even something as modest as this site wouldn't exist had it not been for Thompson's direct impact on my life. Kim Thompson also has a legacy as a man, for his kindnesses and personal relationships, that is significant and meaningful. On the other hand, it would be a huge mistake to characterize Thompson as one of those figures whose major contribution to the sweep and flow of comics history seems to be close proximity to certain creations, characters and/or cartoonists. I think there are several projects where you can definitely see Kim Thompson's unique influence, even at the same time the nature of his bewildering work output is such I'm only ever 85 percent convinced as to what he worked on and when. But if you want to check out some of what Kim Thompson accomplished, and read some great material in doing so -- and why wouldn't you? -- the following might help you get started. Kim Thompson worked in some capacity on any number of anthologies that have come out from the company he co-owned, Fantagraphics, over the last several years. He was the driving force behind two major ones. 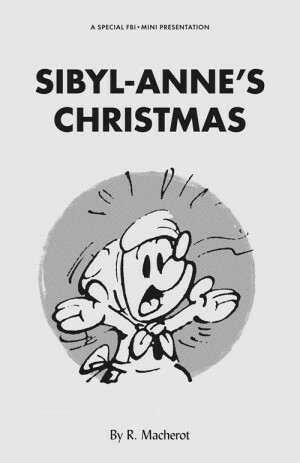 Critters was a series featuring anthropomorphic comics, a realm of comics storytelling with which Thompson would have been familiar and comfortable coming from a European kids comics tradition although he was a fairly open, catholic comics reader generally. 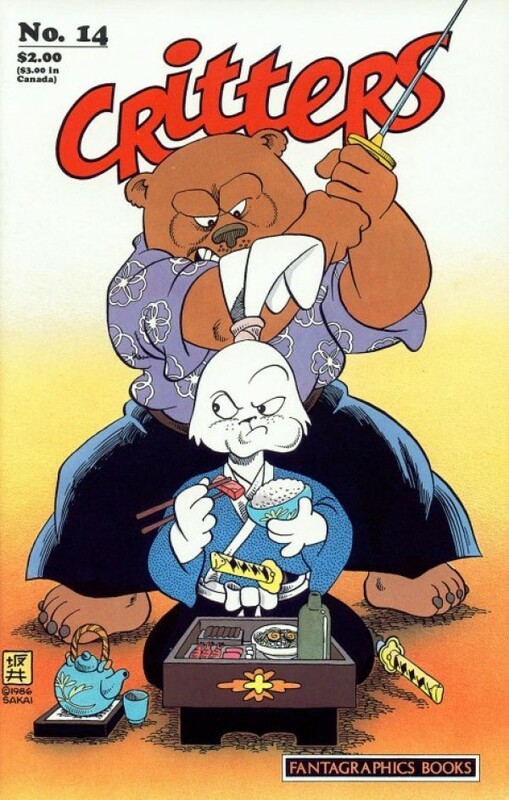 Critters is the book that provided a platform for Stan Sakai's wonderful all-ages series and life's work Usagi Yojimbo to grow its audience, and I also recommend all of Sakai's work with Fantagraphics if that's a realm of comics storytelling in which you have any interest whatsoever. 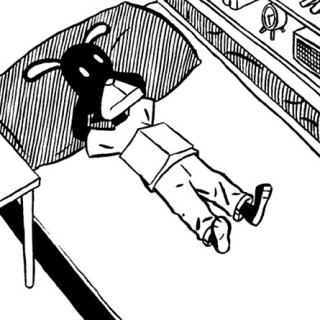 Reading Critters now feels less like a study in the eventual long career of that samurai rabbit or more a parade of cartoonists now largely forgotten, although perhaps just for this kind of creator-driven work. I know Kim was enough of a fan of Mike Kazaleh he once scowled in the direction of the entire comics industry that we somehow didn't find a bigger and better place for his work. Zero Zero was Thompson's more straight-up alt-/art-comics anthology squatting in the second half of the 1990s. I think its mirror publication is Arcade, in that both were transitional anthologies stuck between two major eras and bigger, more celebrated series of this type. Zero Zero is like the Spiegelman/Griffith series compulsively readable, with stellar work from major talents like Kim Deitch, Richard Sala and Al Columbia. Buying and reading Zero Zero can be a little bit difficult. It's not in high demand as a collectible but it's not like there were issues of the publication saturating comics shops sea to shining sea in a way that has left a ton of copies in bargain bins, either. Still, it's not wholly difficult to find, and individual issues feel sturdy enough that you can buy them in random, haphazard fashion despite its employment of continuing serials. Thompson was a big-time translator of European comics, in that he worked on several major projects and his work in this area was mostly well-regarded. I think the recent Milo Manara books he'd been doing with Diana Schutz at Dark Horse are about as fine and fun a presentation of that artist's work as we could hope for, although I have to admit that those comics aren't for everyone. 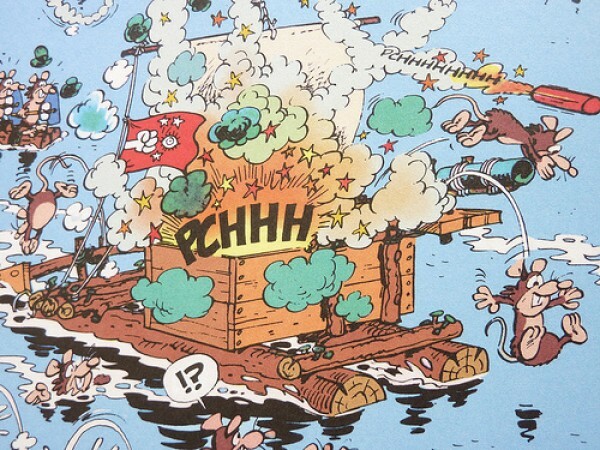 The recent Franco-Belgian kids comics translations like Murder At High Tide are wonderful comics and very, very Kim Thompson -- literally dream projects for Thompson done without hope for hitting a big-time sales mark -- but I would also hazard that they are a kind of comic that you either appreciate or don't. The Jacques Tardi books Fantagraphics has been doing are important in addition to fun, very pretty volumes: if you don't like Tardi enough that something in that line fails to appeal to you, I not only find you to be a strange person but I urge you to buy one of those books anyway because Tardi should be in every serious comics library. The books Thompson has been doing with Jason have been a somewhat surprisingly successful and very creatively strong little line within a line for Fantagraphics. This is an artist Thompson tracked down and offered to publish because of a personal enjoyment of his work. I know that there are people for whom a new Jason book is a minor and very happy event, and they are among the comics they find most satisfying to read. If you haven't tried any of those comics, go to Hey, Wait.... You will likely see exactly what Kim Thompson saw in Jason to reach out and provide him with a key building block -- access to North American audiences -- to have a career in comics. Another tack for discovering Kim's translated work -- and there are so many, and all of them are legitimate and potentially rewarding -- would be to get into his work with Lewis Trondheim. I love the comic book series that Fantagraphics did with Trondheim called The Nimrod, featuring a lot of short work from a phase of that cartoonist's career where he was seemingly making a lot of those kinds of comics. That is a narratively dense, fun, funny comic book, as good as any that ever existed in the alt-comics sphere. But seriously, though: take your pick. Thompson was a significant agent for the reading of world comics, and any jumping on point is more than likely to be an overall boon to your comics-reading life. This was a co-publishing project with Coconino Press that featured an over-sized, deluxe treatment of shorter comics in a way that allowed for creators to publish in a number of pages reflective of the strengths of serial comics making, to take advantage of some of the lovelier reproduction techniques available to comics in the last decade or so, and perhaps enable a price point at which stores, creators and publishers could see a greater return per copy sold. If that sounds like a beautiful but doomed proposition to you, it always did to me, too, and I swoon over those kind of lovely gestures in comics above all other art forms: lower lance, aim at windmill, charge. As a publisher, Kim Thompson dreamed of a lot of different people accessing and reading comics, not just people whose tastes closely matched his own. There's a real element of trying to reach certain readers here, trying to make certain publishing arrangements work, even when the project itself convinces you that it's published for an ideal readership rather than the existing one. This is one of the few comics lines I think is beautiful enough and strong enough content-wise in general to collect in its entirety. I mean, it's just sort of cool, kind of like those little L'Association mini-comics from the mid-1990s where you sort of just like owning those comics no matter what was inside of them or on the cover. The Ignatz books are far grander, however. I think their desirability remains intact even now that we're seeing collections of specific series. I particularly enjoyed the Gilbert Hernandez, Gipi, Lorenzo Mattotti, Kevin Huizenga and Richard Sala books as they came out. Kim Thompson was a vastly undervalued writer about comics, something that this site's obituary will discuss a bit in terms of his overall legacy. He had a very convincing prose style, a clear eye for what he felt worked and what he felt didn't, a general fearlessness that came from being settled into one's desired station in life and an understanding of various comics traditions. I suggest whatever you find whenever you find it -- even his message board posts are worth reading, for as much as they'll remain around. If you want a sampler of something more serious, there is his Editor's Notes writing for the Fantagraphics web site, which you can access through the tag here. One of the CR readers in this week's Thompson-related Five For Friday reminded me how very good his Amazing Heroes issue was that featured a then-current survey of European comics. I also thought Thompson wrote well in the TCJ Top 100 Of The Twentieth Century issue (#210), including some important distinctions regarding the Barks work and what was good and why we thought it was worth including. Finally, I always enjoy reading Thompson's interview with Dave and Deni Sim earlier, and his lengthy discussion with Steve Bissette later on, in the Journal. I think Chris Ware a major, major, all-time cartoonist and the last few issues of the Drawn And Quarterly issues of his ACME Novelty Library, featuring significant chunks of ongoing work that can also work in stand-alone fashion, have been great. However, I'm not sure if anything matches the sheer holy crap nature of the first few more comic-book sized issues of ACME that Ware released through Fantagraphics. It's a testament to Ware's skill that four of the half-dozen or so times I remember doing a low-whistle encountering a new comic were a) his first appearance in a Chicago alt-weekly newspaper, 2) the first few issues of ACME. Certainly the major artistic accomplishment in ACME is Ware's, and even the Fantagraphics end of making this one of the signature comics series of all time was a team project, with Gary Groth and a bunch of staffers contributing in all sorts of ways. I think of this as a Kim Thompson project for the way in which Ware's vision was facilitated, and how at a time when comics were flailing generally and art comics in particular where experiencing a difficult transition that a publisher would work this closely with a cartoonist and kind of scramble around and find the resources and skill sets in-house and out of house to make this happen in as positive a fashion as possible. I always think that executing comics, just getting them out there, gets a bad rap from a fanbase and professionally community that very sweetly and rightly finds creative work laudable. Kim Thompson was at the heart of the Fantagraphics machine as it became a place where great comics became a reality, and I hope people come to appreciate that about his publishing legacy as well. I haven't read it yet except for once very quickly, but if there's one brand-new or very-late work from Thompson I'd recommend in addition to the other books on this list, I'd suggest you drop $45 on this massive, hardcover, full-color, beautiful-looking thing. The last time I visited Kim when he was in the office, this was the only book of his own that he pulled during production to make me look at some of the pages. That's an image from the work at the bottom of the page. Although it's certain there are more Thompson books to come -- although maybe not as many as one might think, given how furiously he worked -- I think Jodelle may be a fitting, later-career tribute to a lot of things that we think of when we think of Kim: his enthusiasm for comics, his love of certain traditions in comics, his devotion to high-end treatment of the comics that crossed his desk, his doggedness in seeing difficult projects completed and his skill as a translator. Of course, a lot of his work covers one or more of those elements so effectively it's hard to imagine a need for another testimonial, but Kim was a restless producer of comics. At the end of 2011, Kim Thompson sent me a bunch of these mini-comics efforts he curated on behalf of various cartoonists affiliated with the publisher. I honestly don't recall if they were meant as stand-alone items or as an inducement for participation in a certain publishing program -- I think the latter, and a quick look at the site indicates they're now being used as a minimum sales bonus. The mini-comics are very well-selected, with work that is fun to read but isn't crucial for a major understanding of any cartoonist represented. You hold one of these minis in your hands and you don't have a negative reaction in either direction: the little comics seem suited to exactly this kind of presentation. That's not an easy trick. I'm also told that Thompson did the Xeroxing, folding and stapling himself, which is the most endearing image I have of Kim that I did not witness directly. In a way, that a publisher with this many projects on his plate was working at the level of an eager 'zine-maker in order to see that these comics existed and people could enjoy them, I almost can't imagine a better testimony concerning a life spent in comics. Long live Kim Thompson. 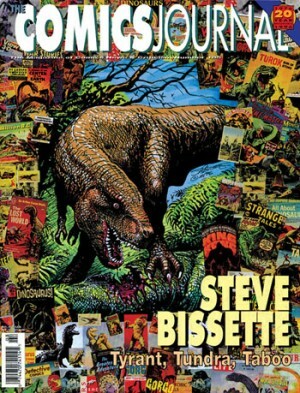 * Critters, Fantagraphics, comic book series, 1986-1990. 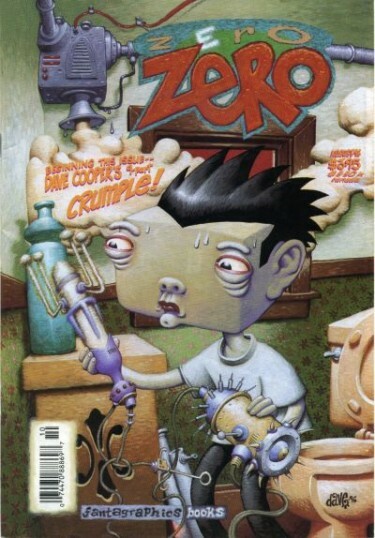 * Zero Zero, Fantagraphics, comic book series, 1995-2000. 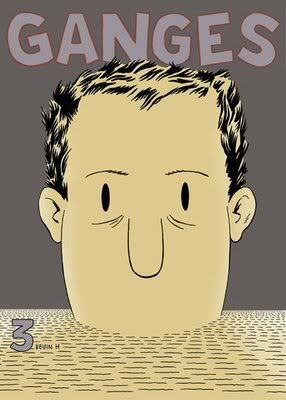 * Hey, Wait..., Fantagraphics, softcover, 2001, $12.95. * The Nimrod, Fantagraphics, comic book series, 1998-2003. * Chimera #1, Lorenzo Mattotti, 2009. * New Tales Of Old Palomar #1-3, Gilbert Hernandez, 2006-2007. * Delphine #1-4, Richard Sala, 2006-2009. * The Innocents, Gipi, 2005. * Kim Thompson blog posts on Flog! * Selected Kim Thompson Editor's Notes Entries: 1, 2, 3, 4, 5. * Amazing Heroes #160, 1989 (Euro-Comics Survey). * The Comics Journal #82-83, 1983 (Dave And Deni Sim). 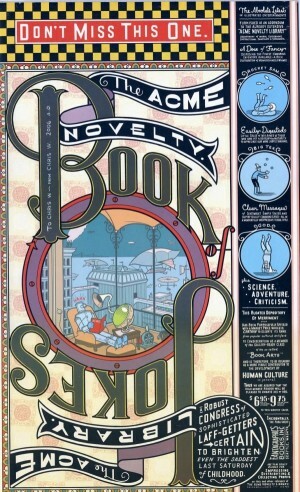 * ACME Novelty Library #1-15, Fantagraphics, comic book series in varying formats, 1993-2001/2002. * The Adventures Of Jodelle, Guy Peelaert & Pierre Bartier, Fantagraphics, hardcover, 2013, $45.